Long before Winston Churchill famously said that “[Russia] is a riddle, wrapped in a mystery, inside an enigma,” the Russians had their own proverb acknowledging the enigmatic quality by which foreigners are both fascinated and frustrated. 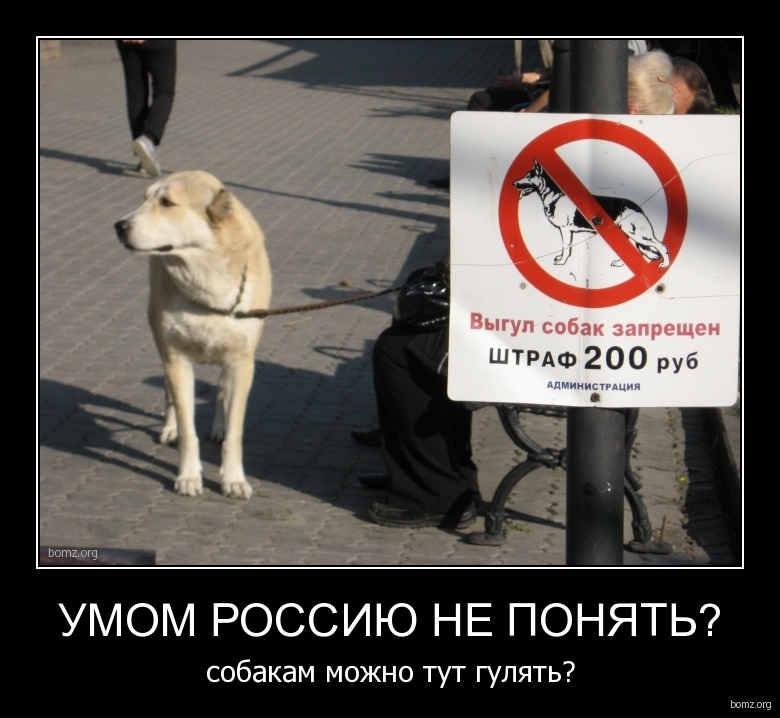 Thanks to an 1866 poem by Fyodor Tutchev, when a foreigner is befuddled by the crazy things that go on in the Motherland, the Russian will casually shrug his shoulders and say, “Умом Россию не понять.” Russia cannot be understood with the mind. 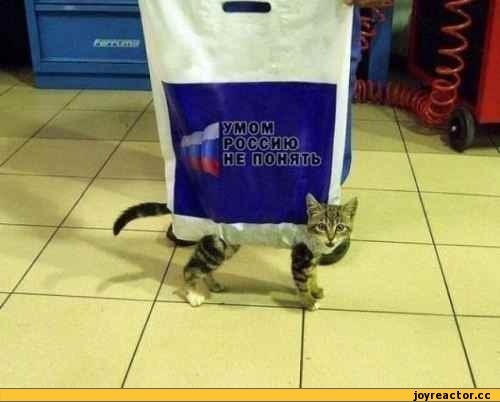 “Умом Россию не понять” has become a popular meme tagline, and I hope you enjoy this humorous look into the wild and crazy world of Russia as much as I did! Comments like these to the aspiring language learner are well-meant, but, as I’ve learned, are not completely accurate. Before my first semester studying abroad in Russia, I heard countless variations of these words from friends and family. I had already learned the basics: the Russian case system, basic verbs of motion, and commonly-used vocabulary. Filled with enthusiasm and hopeful naivete, I believed them. I closed my eyes and pictured myself rattling off perfect Russian, spiced with apt jokes and subtle puns. And I pictured myself doing this after only three months. Let’s just say that the reality of language learning did not live up to my expectations. When I arrived in St. Petersburg, I realized I could not understand the majority of what people were saying. 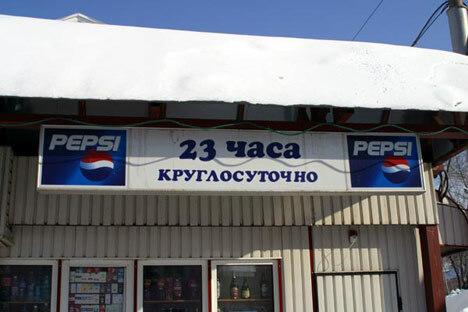 When I tried to order my food in Russian at a Pizza Hut, the waitress ignored me until I spoke in English. When I arrived in Nizhniy Novgorod a few weeks later to begin my studies, I made it my goal to take every opportunity I could to speak with Russians, hoping the magical “immersion pill” would start to kick in. Throughout my three and a half months abroad, I immersed myself as best as I could, going on long walks with Russians, chatting with my host family over late night chai, and pouring myself into my three hours a day of Russian class. Without a doubt, I enjoyed all these experiences immensely, but almost every day, I would beat myself up about my “slow” progress. Instead of celebrating learning a new word, I would chastise myself for not yet achieving this glimmering “fluency” that I so idolized. By the end of the trip, I am sure that I did improve both in comprehension and in speaking. But because I had held so tightly to comments like “just live there for a few months and you’ll be fluent,” I felt that I had failed. After all, from what people said, I should be fluent by now. I should be able to effortlessly translate the sentence that Russian spy said in Get Smart. I certainly shouldn’t be making these stupid mistakes anymore and stuttering through simple sentences! You would think I would have learned that I was creating overly high expectations for myself, but I entered the Critical Language Scholarship Program last summer with much of the same attitude. Again, although I improved quite a bit, my unreachable expectations made me think that I had failed. After returning, every time someone asked me, “So, are you fluent now?” made me want to scream and throw everything in the vicinity like a madwoman. I would disguise my frustration with a saccharine smile, answer with a gentle, “well, conversationally fluent, but I still make a lot of grammatical mistakes and there are many topics I don’t know the vocabulary for.” When I left the conversation, I would beat myself up again, thinking “you are supposed to be fluent by now!” One of the biggest mistakes I have made time and time again in my language-learning journey is to expect too much improvement in too little time. Immersion is important, but time is just as important! As I embark on my next trip to Russia, I want to throw out unreachable, pie-in-the sky expectations of speaking Russian like a native speaker effortlessly and without a mistake. It’s not because I’ve lowered my standards. No, I still hope to attain a much higher level of proficiency…in time. But for now, perhaps the best expectations I can make for myself are small and measurable, like “learn x number of new words a week,” and “discuss x with three Russians.” Slowly but surely, I will improve. But I want to enjoy the journey and not get overly caught up in the seemingly asymptotic destination. I was filled with joy and thankfulness when I found this little article, in awe of how God used one step into the unknown ten years ago to radically change the course of my life. As I slowly read the news article, I was transported back to the mind of a twelve year old girl who was scared to death to travel to a country that she had heard was scary, dark, and cold. I honestly don’t remember the moment I decided to go to Russia, which is funny because I tend to remember obscure things like what I wore on the first day of fourth grade. My Dad tells me though, that I went up to him and told him that I felt the Lord wanted me to go to Russia. That was a good enough reason for him, and I’m so glad it was. I stepped onto a plane ten years ago, scared, unsure, yet having an undeniable sense that God wanted me to be there. And I fell in love that summer. I fell in love with Russians, with their warmth and vibrancy and depth. I fell in love with Russia, with its color and nature and kaleidoscope of culture. I fell in love, and ten years later, that God-inspired love continues to grow in joy and passion and purpose. The Israelites used to put up stones as a memorial of God’s great works among them, tangible, solid markers that reminded them of God’s faithfulness, power and love in their lives (Genesis 35:14, Exodus 28:12, for starters). 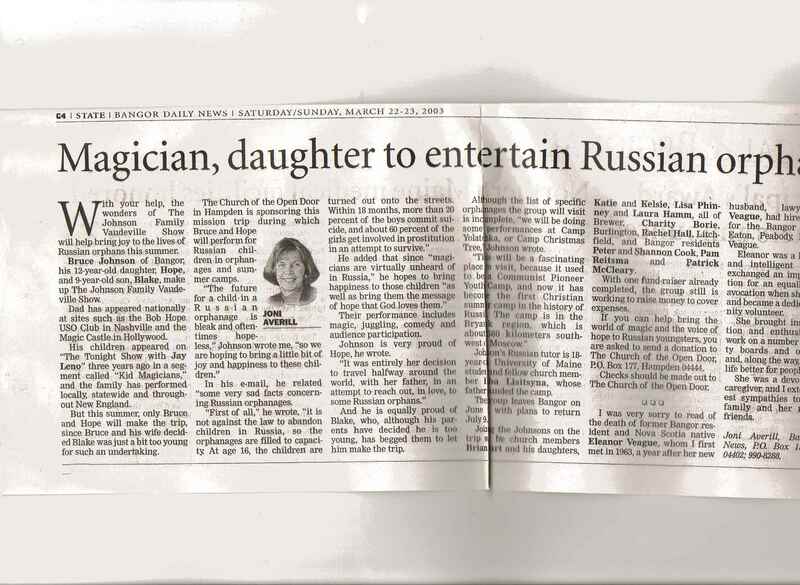 And to me, finding this little article from ten years ago was like unearthing a precious memorial stone. As I step forward into this next stage of life, if I am tempted to doubt my calling or doubt myself, may I come back to these tangible evidences of a calling and love that is so much bigger than me, and trust in the God who never fails to love and lead his children.